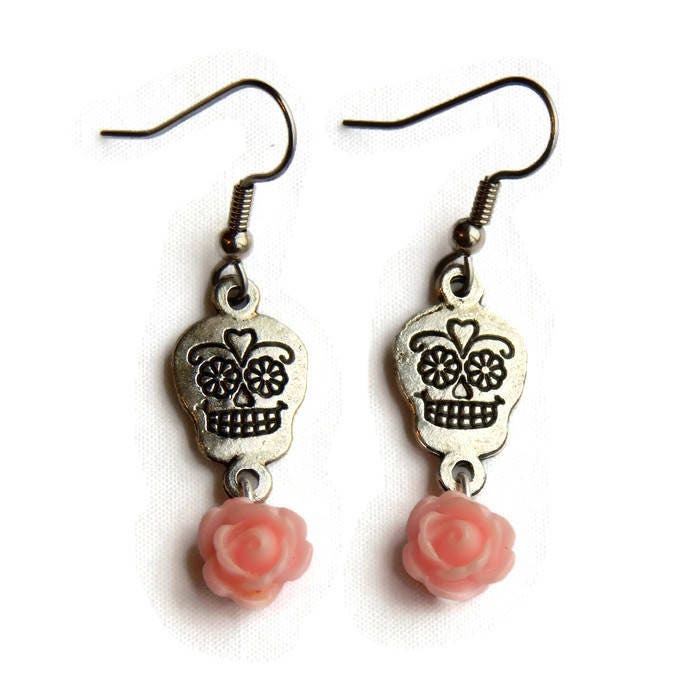 These rose and skull earrings are creepy and cute. 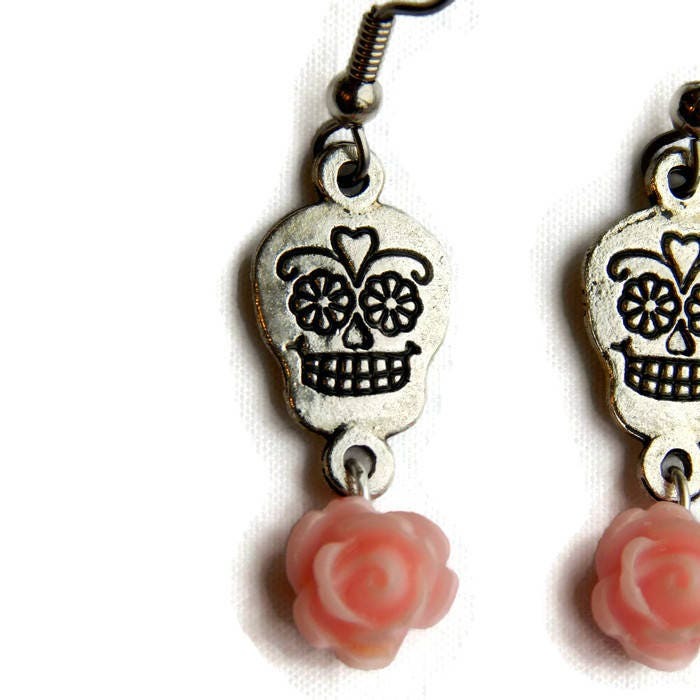 Made of a light pink resin rose suspended from a pewter sugar skull charm, these earrings will add some Dia de los Muertos style to your everyday wardrobe. 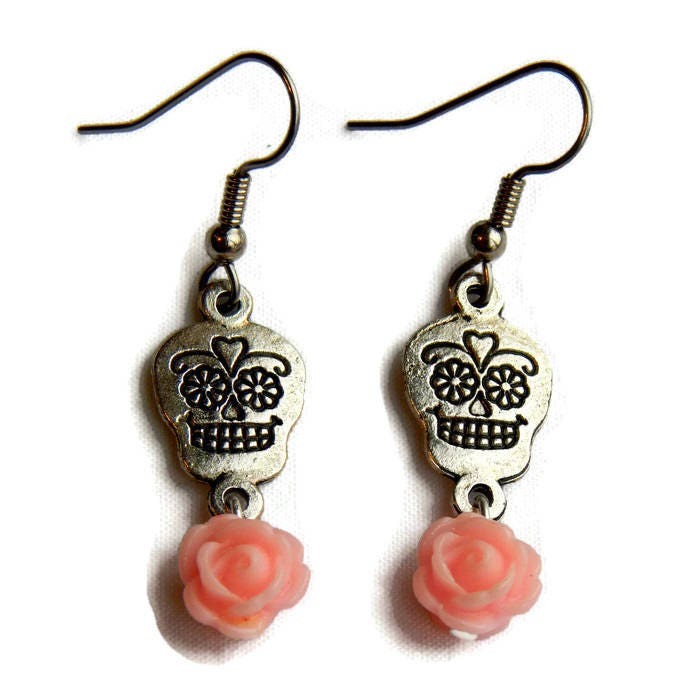 Earring hooks are nickel free for sensitive ears. Handmade in the USA.